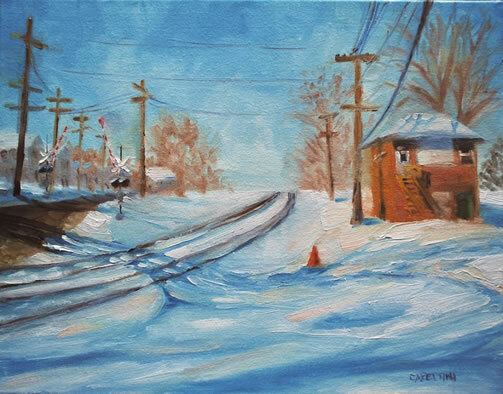 A resident of Downers Grove, Maggie Capettini tells stories of place in oils. Her most recent exploration of place focuses on historic downtown West Chicago. These paintings will be exhibited as West Chicago / Meeting Place at Gallery 200 in West Chicago for the month of August. The series consists of nearly 20 paintings featuring historic homes and buildings, train depots, and downtown scenes. The public is invited to join the artist at an opening reception on Friday, August 5th from 6:00-8:00 p.m. Light refreshments will be served. The exhibit will be on display for the entire month of August, 2016.